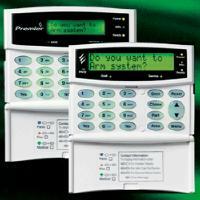 Chesterfield Intruder Alarms - ICU2 Security Ltd.
Alarm systems have evolved greatly in the last decade. 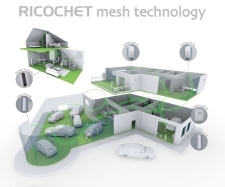 With technology, alarm systems can be more than an annoying noise that no one listens to. From remote access to your lighting, to the ability for your alarm to sms your mobile, call the police or even switch on your cctv system to the zone in which the alarm was triggered. Once our Surveyor has had a look at your home or premises, you will receive a free, plain english quote, with consultation available to explain any questions you may have on the more technical points. To ask advice on any product, including any of our Domestic or Commercial intruder alarms, please call us on 01143270121, email us with your request or contact us via this website. Protecting your home and family is probably the most important role in your life. Having a burglar alarm is the most influential factor of deterring thieves. Research carried out by the British Security Industry (BSIA) found that the majority of residential burglars avoided properties with burglar alarms entirely. Installing an alarm could seriously reduce the threat of a break-in. On average a break-in costs £1,040 on a residential premises according to the Association of British Insurers (ABI) 2004. Many insurance companies will offer you a discount when an approved maintained intruder alarm is installed in your house. For increased security you may wish to have your intruder alarm system monitored. A monitored alarm is one that is linked via the telephone line or phone network or both to an Alarm Receiving Centre (ARC). This is where your intruder alarm system is connected to an Alarm Receiving Centre (ARC) via a dedicated phone line using a Digital Communicator. When an alarm is triggered, the monitoring centre receives notification and calls the Police. This system does not have the facility to monitor for line cuts. If the phone line is cut the alarm will not reach the monitoring centre and they will be unable to call the Police. The implications of this are that if the line is cut or damaged during the break-in, no one will be notified of the event. This type of service also connects your burglar alarm system to an Alarm Receiving Centre (ARC) via a phone line – but it does a lot more than that. It actively checks that the phone line is always there. One of the types of Active Monitoring that is available is the service that British Telecom offers called redcare. With BT redcare intelligent continuous alarm monitoring service you’re safe in the knowledge that your alarm activation will be delivered to the Alarm Receiving Centre and acted on in seconds. If the telephone line is cut by an intruder, redcare will relay a signal to the ARC to ensure your property is not left unprotected. Also, because redcare can work on an existing BT phone line, you can save the cost of installing and renting an additional line. Although we do recommend a dedicated line, this is for servicing and maintenance purposes. Due to the method of operation BT redcare does not incur any additional call charges, and with a small attachment (modem compatible device), redcare can even work on the same line as a fax machine, a PC or other digital equipment. Using 2 alarm monitoring paths, a mobile phone network path (referred to as the radio path) and the telephone line, if one of the paths is attacked (or damaged) the other continues to monitor for any further alarms and transmits them as ‘confirmed activations’. Redcare GSM, DualCom GPRS and DualCom plus are capable of sending a confirmed activation if the radio path or telephone line fails, regardless of which one fails first. This makes them the most secure methods of monitoring an intruder alarm, offering you double the protection using your phone line and the 02’s radio network. ICU2 Security specialise in BT Redcare GSM. This is because it is the only monitored system that completely conforms to the new Police Policy (ACPO Policy A.C.P.O. 2006/PD 6662). The policy states that all new security systems must now be capable of generating an initial alarm activation followed by a second one confirming the first to qualify for Police response. Due to this BT’s redcare system is the system that we recommend. Protecting your business against a burglary not only saves you the financial loss that is occurred by a break-in but also considerable reduces the disruption to your business and maintains or improves the health and safety of your business for you and your employees. An average insurance claim on commercial premises after a burglary is £2,408 according to the Association of British Insurers (ABI) 2004. This does not include the disruption and stress caused during this difficult time. Most insurers specify that an alarm system that is installed in a commercial premises in the majority of cases will have to be a monitored system. We are able to integrate and install your intruder system to a smokecloak and monitored CCTV if required. The British Standards 4737, 7042, and BS 6799 Wireless Systems have now been replaced by the new European Standards BSEN 50131 series.European Standards are not retrospective, therefore systems which are currently installed to British Standards will continue to be maintained and updated to that standard. The European Standards have been under development for some time, and not all of the standards are complete, but work on these standards continues. However, there are a suite of European Standards available to enable companies to install to. To enables this, the European Standards will include a document PD 6662:2004. This is a Published Document (PD) and is used to call up parts of the current standards of British Standards where European Standards are still under development. As new parts of the European Standards are completed they will eventually replace those parts of the PD6662, which will eventually be phased out. One of the most significant issues within the new EN standards will be evaluating the risk associated with the premises and determining a grade of system. This is because once the grade of a system is determined it will define the extent of the system, its signalling and tamper security. One of the most important aspects of the EN 50131 requirements is the concept of a security grade. For each installation the grade of system has to be chosen according to various factors. In the EN the grade is described in terms of the type of intruder and how much effort they put into the burglary. Grade 1 is for an installation with a low risk of theft. The property is not likely to attract intruders. It is assumed that a thief is likely to be opportunistic rather that bothering to plan things in advance. In the application guide (DC CLC/TS 50131-7) it assumes that an intruder is simply going to break open a door. Grade 2 is for a slightly higher risk of theft. The property is likely to have something of interest to an experienced thief. In this case the intruder is expected to have some knowledge of how alarm systems work and possibly carry some tools to allow him to overcome a simple alarm system. The thief is likely to check the building for ease of access through doors, windows and other openings. Grade 3 is for a reasonably substantial risk property. There is good reason to assume it may be broken into and might well contain objects of high value. An intruder is likely to gain access by penetrating doors, windows or other openings. The thief could be very experienced with intruder alarm systems and possess a number of tools and equipment to overcome the system. Grade 4 is for very high-risk properties. Intruders could be expected to plan a burglary in advance and have the knowledge and equipment to alter parts of the intruder alarm system to prevent detection. It is assumed that the intruder could gain access by penetration of floors, walls and ceilings. The intruder is unlikely to be working alone. What Grade of System does my installation need? The EN standard says that it is not necessary to use the same grade of component throughout an intruder system. If the installation is a grade 2 then there is no problem using, for example, a grade 3 power supply. If however an installer fits a grade 2 component (such as a detector) in a system then that system is limited to grade 2 at best. It is possible to have a defined part of a system at a higher grade so long as all associated parts are at the same (or higher) grade. For example a system combining intruder and hold-up (PA) functionality could have a grade 4 hold-up system whilst the intruder parts were limited to a grade 3. But this example is only valid if the power supply, alarm transmission system and warning devices used by hold-up (PA) parts are all grade 4. This would still allow intruder parts such as PIR’s to be grade 3. The system as a whole is, of course, only grade 3.